I have tremendous respect for both of these women. 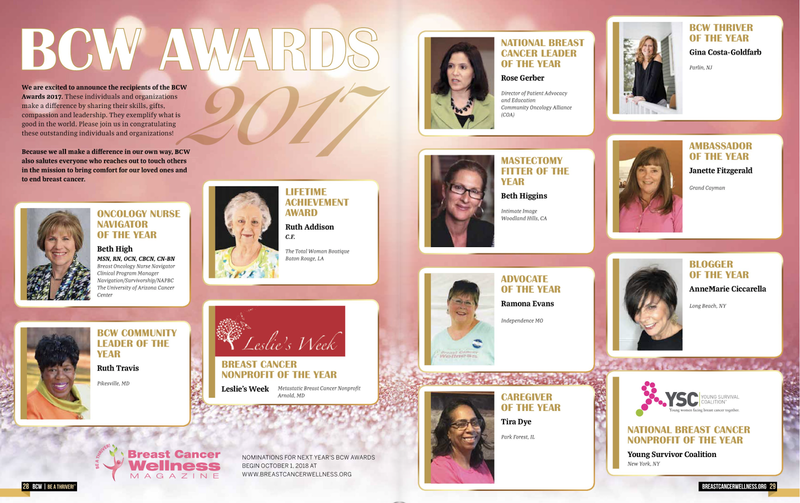 They are quite accomplished, each a brilliant writer and both living with a breast cancer diagnosis or two. 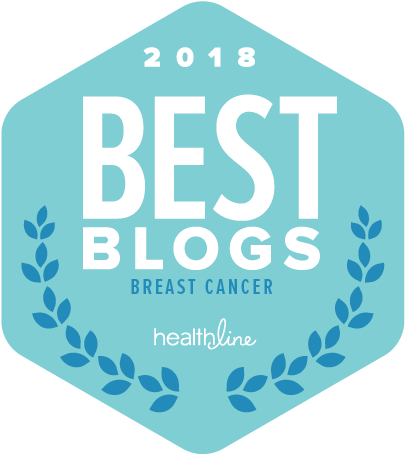 Last week, Peggy Orenstein wrote an OpEd for the NY Times, The Wrong Approach to Breast Cancer and offered further elaboration on her personal blog which includes the link to the original article. After Peggy's piece appeared, Elaine Schattner wrote a piece for Forbes. It's Not Just About Survival: Why Some Breast Cancer Patients Opt For Surgery On Both Sides. Because I refuse to purchase a subscription to the paper, I must admit I may have only read an abbreviated free version of the article. I don't think that is going to make much of a difference. My point is not to pick apart the article or to attempt to pull out phrases. This is old news and I'm late to the conversation. Yet, I'm compelled to write a commentary of my own. There is no shortage of blogs and follow up articles after the OpEd appeared in the NYT. I also understand from what was written by Karuna Jaggar, there was quite a discussion on Breast Cancer Action's Facebook page. It's safe to say, this was one of those lightning rod things with Peggy Orenstein flying the kite with the key attached to it. What do I think? Do you even care? I try to read in much the same way I hope I listen when others have something to say. It's how I learn. Here is my take-away. Peggy Orenstein wrote a factual piece based upon the scientific evidence that applies to most of the population. It seems clear, at least it does to me, that her message was this. When someone is newly diagnosed, it is incumbent upon the medical community and those of us who fancy ourselves as some sort of a voice within our community, to make sure a woman is making a decision with accurate information. And yes, that was my entire take away from her article. Our doctors have an obligation. Those who have big voices have a responsibility. It's up to all of us to start the conversation by sharing: Here's the evidence, backed by a ton of science. Sift through it. Do lots of talking, reflect, think about every aspect and then, and ONLY THEN, make your best decision based upon the information available at the time. We are all different and what works for one of us may not be the right choice for another. I did not read Peggy's article as a dig at those who chose to remove a healthy breast. I did not read Elaine's article as a dig at Peggy. There are intangibles and there are other things to take into consideration when making such a drastic choice. I made that drastic choice in 2006. It was the most difficult personal decision I have ever made. EVER. Bar None. Among some of the things that went through my head? My mom's diagnosis in her 40's. 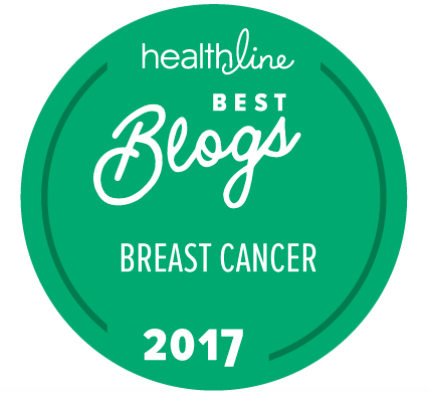 My own inconclusive BRCA results, not once, but twice, same test. Yes, BRCA1 and BRCA2 both returned variants of unknown significance in what I frequently refer to as a waste of perfectly good blood; blood, I might add, I can ill afford to lose given this anemia thing I was born with. My cancer did not present as a lump. It was the astute eye of a skilled radiologist who saw a density. Yet, the density wasn't his area of concern. There were three calcifications that looked highly suspicious. I've often wondered how long it might have been before my cancer was diagnosed if not for those calcifications. The calcifications had to be removed. His words? "I'm sure a breast surgeon would want these out to make sure it's not cancer." The density was an afterthought, a shadow, something that was playing hide and seek on three different sonograms by two different radiologists, an area that likely would have been monitored for change, except that I was already going for a biopsy. As long as I was already having one area checked, the decision was made to check both. The density was cancerous. The calcifications were insignificant. The cancer was lobular in nature which means it was a slow growing cancer that tends to be sneaky. The prominent surgeon's words would replay in my head as I pondered my choices. "We never catch these things this early." An accidental finding and a cancer that, unlike ductal, does travel from one breast to the other, according to 2006 information, in 30% of the cases. Another piece of information to consider. Radiation. If there was a second cancer in the same breast at any point in my future, the cancerous breast would have to be removed. I knew if I had to remove anything, something was being put in its place. Reconstruction for me, would be essential to my emotional well being. I learned how difficult it could be (again, using 2006 information) to reconstruct radiated skin. Remove one? Remove both? I went from zero to 95% certain that my choice would be to remove both breasts. However, I recall with great clarity how I agonized to fill in those final five points and push my decision to one of certainty. Would I freak every time I went for a mammography of the good breast? Would I turn into a pin cushion where any slightly suspicious shadow would result in a conversation that began with the words, "With your history......"
While I was at the 95% certainty mark within 72 hours, it would take an additional six weeks before my decision was made. And that decision was the right one for me when I looked at all of the circumstances individually and then, as a whole. It was not made lightly, it was not made with a cavalier attitude. I agonized. I asked questions. I researched. I was doing things to self advocate without knowing that's what I was doing. I was making an informed choice based upon medical evidence. My problem with Peggy Orenstein's article has absolutely nothing to do with her well outlined explanation of the science. It's the damn headline. I'll bet a ton of money that the wording of the headline pissed people off before they read even one word of the article. Thus, we read with a closed mind, digging in with our heels, because we already presume what is going to be said. We prejudge and in that mindset, are we able to read the message? 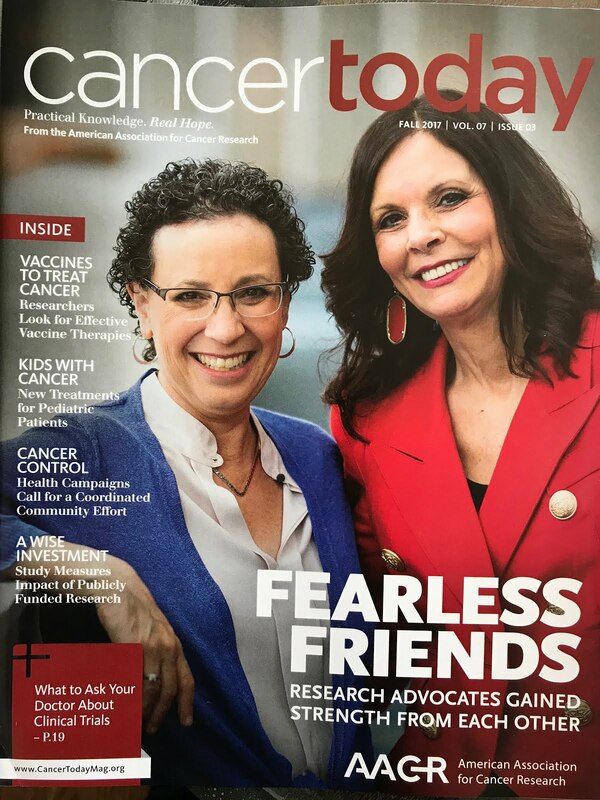 It seemed to me that her article was strictly about the evidence and making sure newly diagnosed women, in that You Have Cancer Vortex are making their decisions with a true understanding of what they are, and are not, gaining. Elaine's points about the cost and the angst associated with increased screening and testing for those who choose a less drastic path are well elucidated. Quality of life and stepping confidently back into our lives after being diagnosed with a serious illness are factors Elaine brings to the discussion. While Peggy is focused on the science of medicine, Elaine's observations incorporate the art of medicine and make no mistake, medicine is both art and science. One final thought. I'm not certain how I feel about the concluding paragraph in the NY Times. "Treatment to reduce the risk of metastasis has improved over the years. Not enough, but significantly." I don't think there's enough evidence in the studies to support that statement. I think the treatment to reduce the risk of recurrence has improved, perhaps significantly, but recurrence and metastasis are two completely different things. My understanding of metastatic disease is that it's still pretty much a crapshoot. I may be wrong, but I read almost every major study and many not so major studies and I'm just not seeing that. At least not yet. I may be wrong and if I am, please point me to the evidence. Yes to that on the concluding sentence around metastases. If I reflect upon my post chemo & radiation care, it was all about looking for recurrence and not at all about mets. And I think your breakdown of the articles is very fair. Peggy's article seemed quite fact based (leaving out the emotional aspect) to make that side of the discussion clea. Though we can't ignore the emotional ramifications either. I think that last sentence needs to be the title of a future blog you must write. Think of it as a "prompt" so to speak. You are SO right. No wrong choice, only a personal choice. So glad you chimed in--I don't think you are "late", rather, you are thoughtful as always. This whole discussion has been frustrating, and in my opinion, just a repeat. Like the mammogram debate, it seems this unnecessary mastectomy thing just keeps popping up. I imagine it will continue to do so. Your observations made me think of something. Breast cancer will always be a poster child for something. Not all of it is bad and healthy debate is always good but as Catherine said, at the center of this lies the most important factor, "personal choice." Your post is great. Highly recommend to all!! I responded to your comment earlier but it seems to have gotten lost. It's a running theme between us??! As for titles/headlines, that's another rant for another day and I'm sure we all have the same feelings about that. Thanks for a very insightful post. Understanding the scientific evidence in support of medical treatments, the benefits and risks, is crucial. But from there, each person's individual situation needs to be taken into account. Your story of how you navigated that process is a great example of how there is no one "right" approach for all, only what is best for each person. Hello viewers all over the world am, I want to testify of what ehiaghe do for me. i was having a very notorious and serious sickness called HIV i contacted these infection from my ex husband and was very in lost of hope i never believed i was going to be cured until i meant these great man called ehiaghe who God send to help me cure my sickness . just a few moment with these great man he cured my infection with his anointing water i want you to know that all hope is not lost until every thing is done if you also have these following infections contact these email ehiaghespellhome@gmail.com now.